Here we have a modern design TV entertainment unit made of sturdy MDF and particle board with a melamine finish which offers durability and longevity. 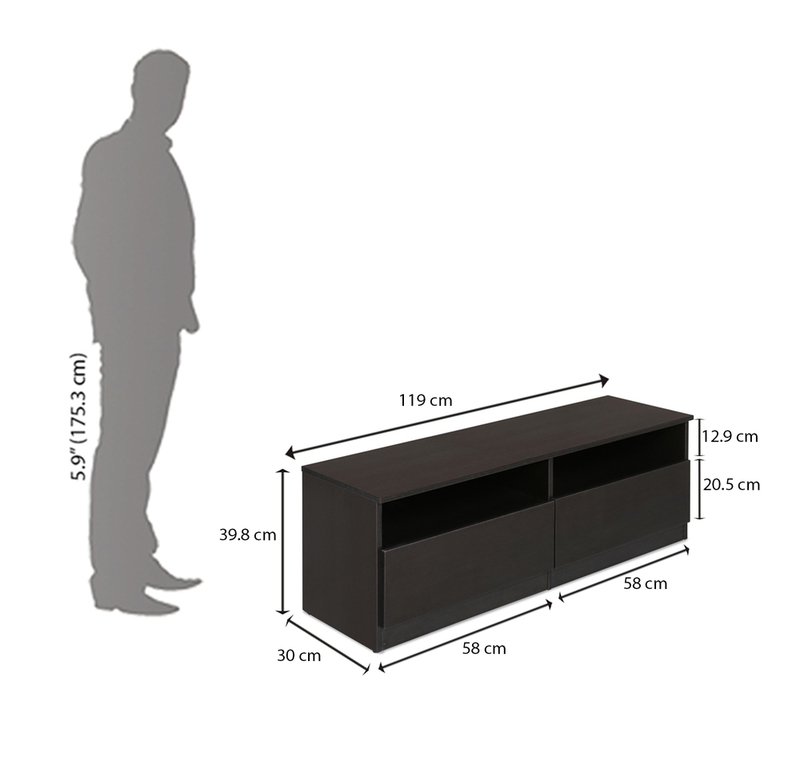 It is wear resistant to a great extent, and includes both concealed and open storage. But the main highlight of the @home Muse rests in its aesthetics. There are drawers for providing easy accessibility to nifty items, and wide open spaces for displaying your television as well as souvenirs and showpieces. The beautiful black oak finish adds a royal touch to this unit.